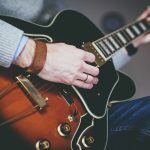 As a beginner player, you probably wonder yourself what else you can do to make your playing easier, more convenient, or better sounding. One of the things that can have a critical influence on your playing enthusiasm is a set of strings. Although it seems quite simple, choosing perfect strings may be a little bit more complicated than you would think. The three main things you should consider are gauges, material, and winding. Let’s get onto our top suggestions first! Ask any guitarist for advice about guitar strings and first words you’ll hear will probably be about gauges. This is perfectly fine, as the tension is definitely the most important thing for every beginner. Someone who doesn’t play for a too long usually has pretty soft fingers and the most important thing is to keep them away from too much pain and potential injuries. The most basic classification would include three main groups – Light, Medium and Heavy. Things are pretty simple here. Lighter gauges require less tension in your fingers than thicker ones. So, my recommendation for every beginner would be to choose light gauges only. The easiest way to recognize the gauge is by looking at the thickness of the first string. Light strings usually start with 0.10 to 0.12 inches and that is something you should go for. 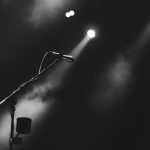 Let’s presume that, as a beginner, you probably play some entry-level, or mid-class guitar, which is still far away from a professional instrument. In most cases, such guitars are made from wood that is rather neutral in terms of the sound color. This leaves a lot of room to determine your preferences in a pretty cheap way – by choosing different types of strings, in terms of the materials. While higher strings are made of steel only, lower (bass) strings are wounded with some additional materials. That material has a big influence on the sound. Among acoustic guitar strings, three most common winding materials are Bronze, Phosphor Bronze and Compound strings. 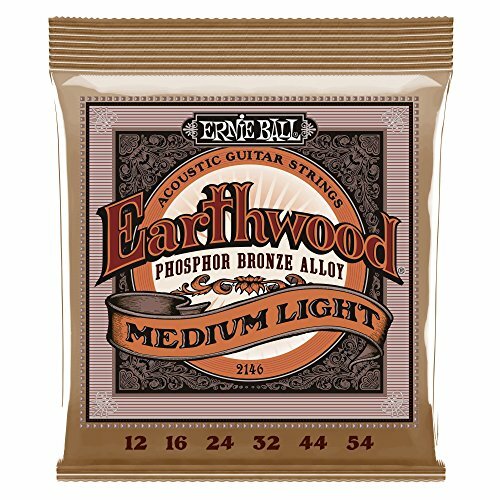 Bronze strings will give you the brightest, super clean sound, which is perfect if you prefer vintage music. Unfortunately, a big drawback is the fact that bronze oxidates very fast, so your sound will fade pretty quickly. Therefore, Phosphor Bronze is definitely a much better choice. Phosphor prevents oxidation, so these strings will last for much longer. Of course, the sound is not that bright, but still pretty amazing. Compound strings combine steel and silk and such combination gives a pretty interesting result. These strings are significantly softer, practically somewhere in the middle between steel and nylon strings. Sounds like a perfect choice for those who prefer fingerpicking techniques. Also, they are characterized by a pretty mellow sound. If you prefer such sound, the choice is obvious. On the other side, if the softness is your main worry, all bass strings are generally soft and there is no good reason to lose that bright bronze sound just to keep your fingers from pain. From this aspect, we can classify string in two main groups – round wound and flat wound. As its name says, round wounds use material that has a round cross-section. Therefore, these strings are textured, which can sometimes be quite irritating to beginners, due to recognizable finger noise. On the other side, flat wounds are, logically, flat. Such design feels more convenient for playing, as there is no texture anymore. However, a bad thing about these strings is the sound, which is almost completely deadened, which doesn’t work very well for acoustic guitars. Fortunately, there is a compromise. It is called a semi-flat wound. Simply said, semi-flat wounds are flat from the outside, but around from the inner side. In practice, this means a bit from both worlds, which is sometimes the best solution. These would be some of the main things you should care about. Now it’s time to be more direct and talk about specific products. Here is a list of some of the best acoustic guitar strings for beginners. 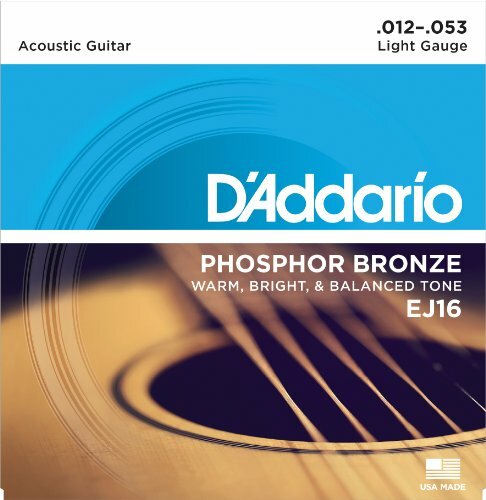 D’Addario EJ16 is probably the most popular set of strings for acoustic guitars you can find. Therefore, I won’t waste too many words on it. A combination of phosphor and bronze ensures both a bright tone and a decent lifespan. The main reason for such popularity lays in the fact that these strings are balanced pretty well. The strings are durable, while the sound is pretty good. Finally, the price is very attractive. Of course, it comes in all kinds of gauges, so you won’t have any trouble to find something for you. Here is another well-balanced choice. This is another household name among guitar strings makers. This particular set features a pretty typical combination of phosphor and bronze, which delivers a quite bright sound. Once again, decent longevity and solid sound quality in a combination with affordable price is a win-win combination. Choosing between Ernie Ball 2146 Earthwood and D’Addario EJ 16 is nothing more than a matter of preference. Both sets deliver plenty of quality for the money. 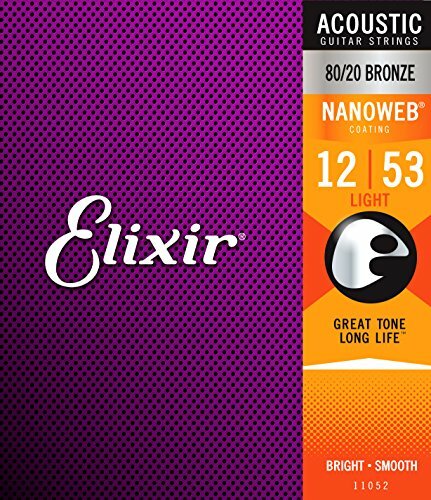 Elixir Nanoweb strings would usually cost you two or three times more than common strings, but the company advertises itself for extraordinary longevity. I’ve checked in practice and it really works. The tone won’t fade out even after months of playing, so we could agree that this set of strings definitely worths the money. The secret is in the company’s patented coating technology that protects strings from dirt and prevents oxidation pretty well. In terms of the sound, this is pretty much a typical brass alloy, so you can bet on warm and clear tones. 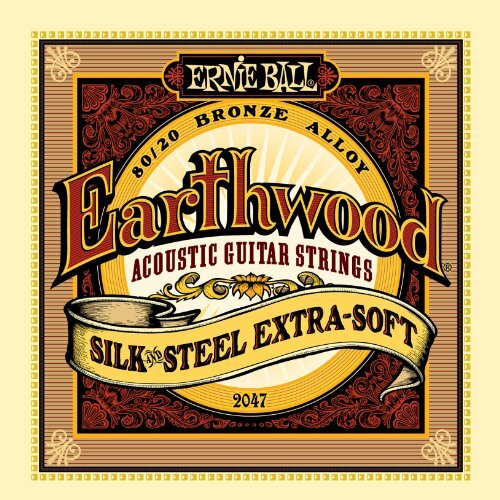 A combination of silk and steel guarantees mellow tone and super-soft playing, perfect for fingerpicking. On the other side, as a major company in the business, Ernie Ball Strings guarantees great quality. Those who would like to try compound strings and their sound definitely won’t go wrong with these ones. Also, it is good to know that various gauges are in the offer and the price is usually quite affordable. Those who want soft playing without sacrificing tone brightness can pick these ones without worries. 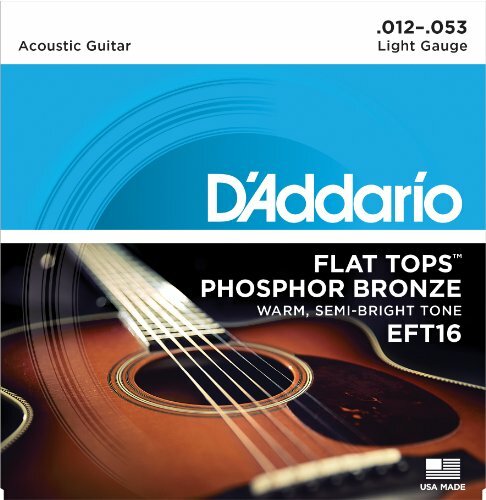 The D’Addarion EFT offers a good combination of a semi-flat wound and phosphor bronze alloy, which ensures easy playing, free of any finger noise. The sound is bright enough, though it can’t compare with typical round wound bronze strings. After all, even the company describes its tone as semi-bright. You can choose between Extra Light, Light and Medium gauges. The famous guitar company also has strings in the offer and some of them are very good, according to most reviews. In terms of the tone, these ones are pretty common. A typical bronze/phosphor combination ensures a very bright and clean tone but that’s not the reason why this set is on our list. 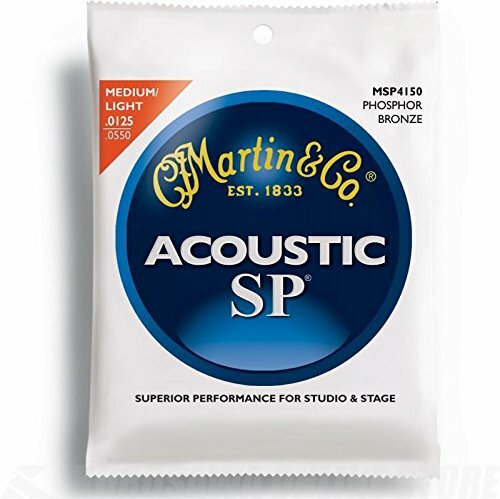 Unlike most manufacturers that praise their wounding technologies, Martin Strings focuses on the core string, which is made of hi-end quality steel. Considering that this company makes spectacular guitars for almost two centuries, we don’t doubt in the quality of its steel core. 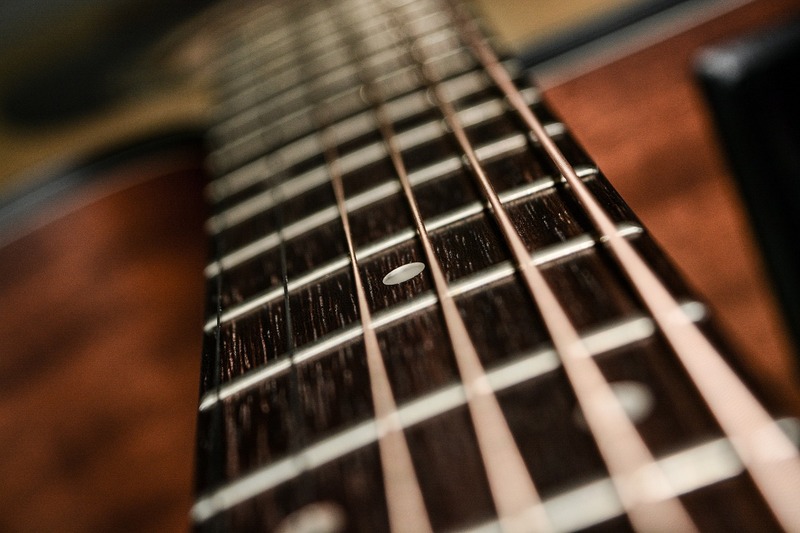 The price might sound high to some, but keep in mind that these strings will last at least three times longer than common ones, according to the manufacturer.